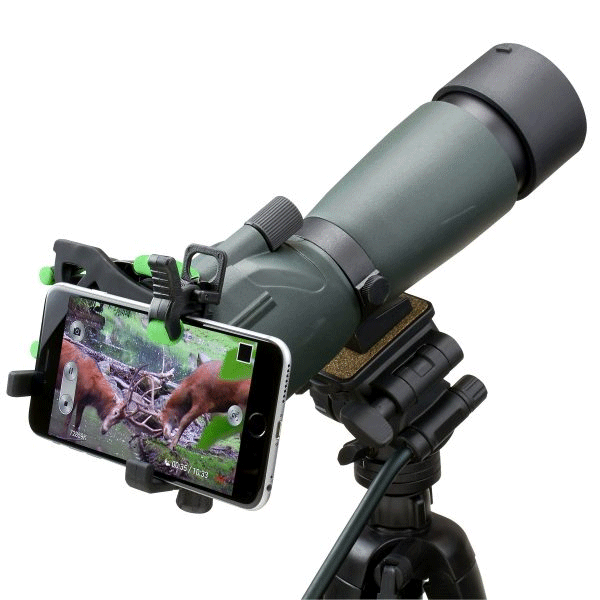 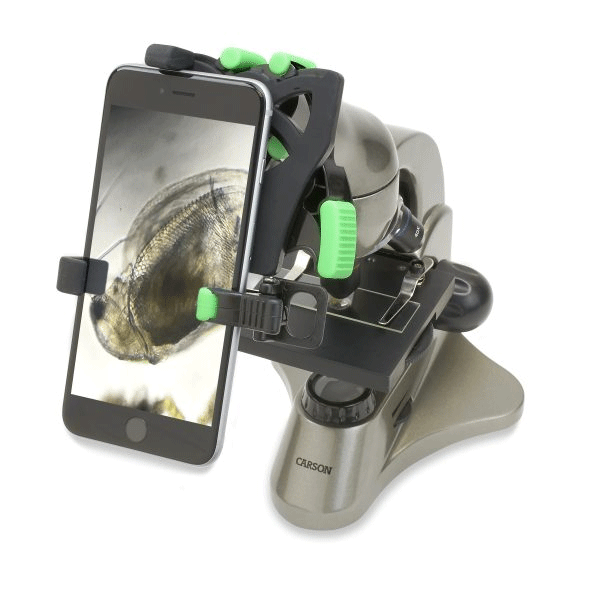 Connect your smartphone to your preferred optic; binoculars, monocular, spotting scopes, telescopes, microscopes, borescopes, slit lamps, night vision and more! 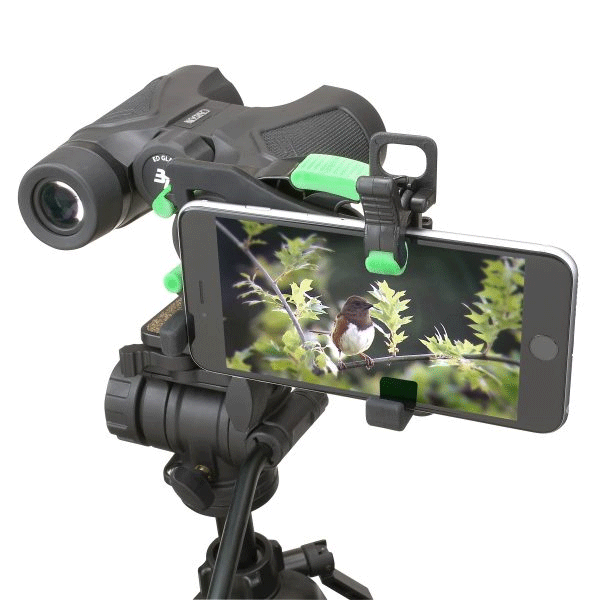 Now, you can digitally record and capture everything you see through your optical device and share instantly via text, email or on social media. 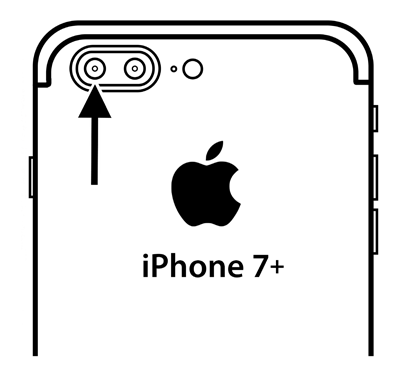 The patented HookUpz 2.0 has been designed to accommodate all the popular smartphones on the market, including the larger sized phones and phablets—even with their cases on! 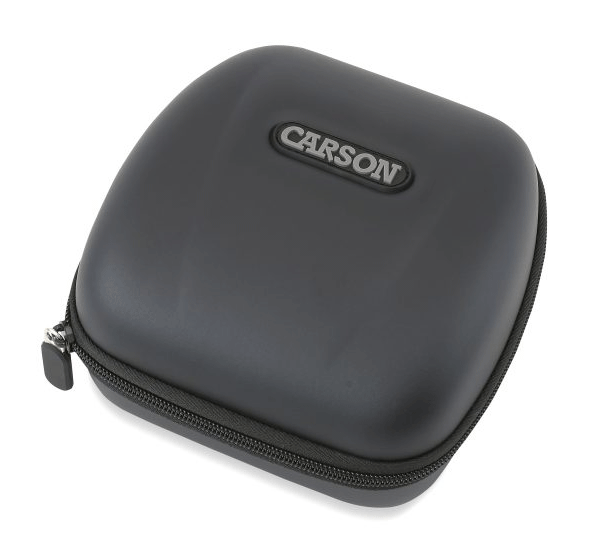 It is super compact, lightweight and offers a user-friendly design. 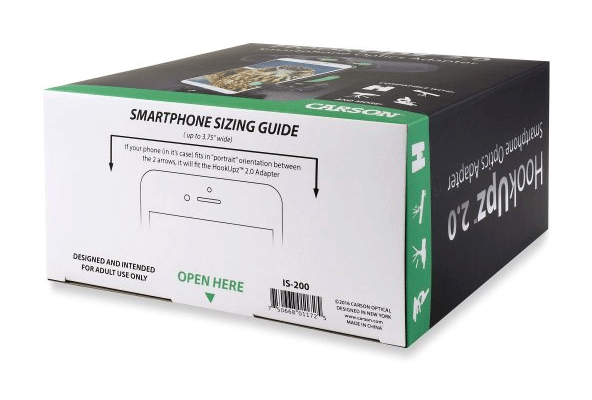 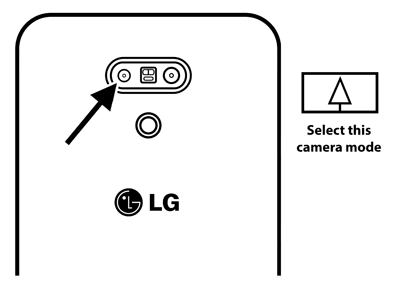 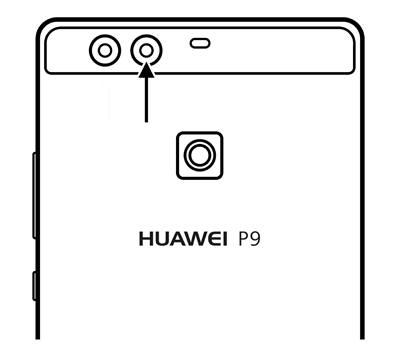 Connecting your smartphone or phablet to your optic is quick and easy. 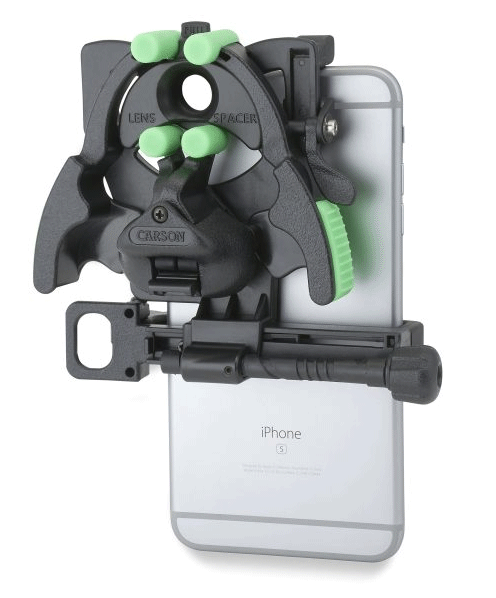 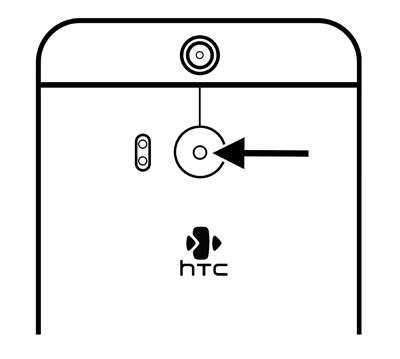 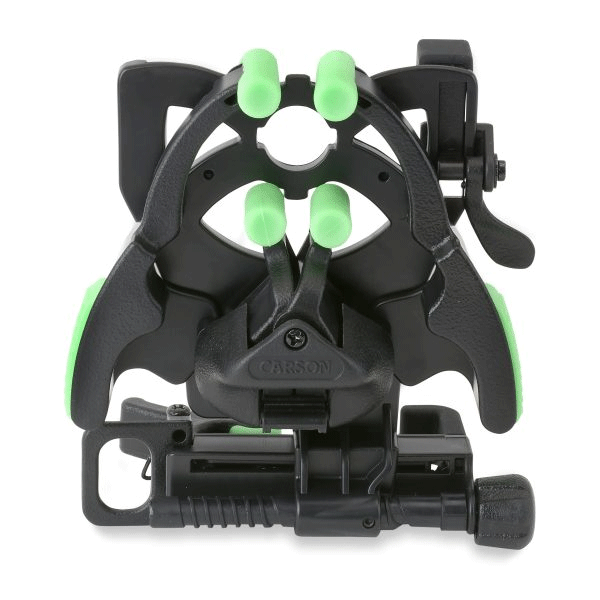 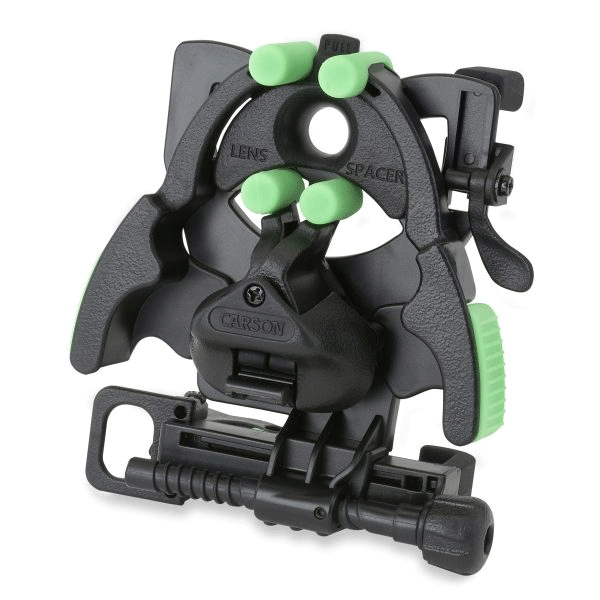 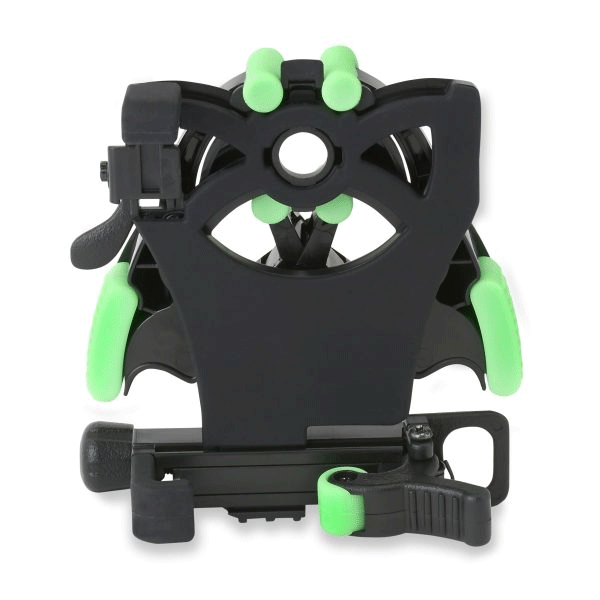 The exclusive, phone clamp and optic cam lock ensures a tight grip to both your phone and optic. 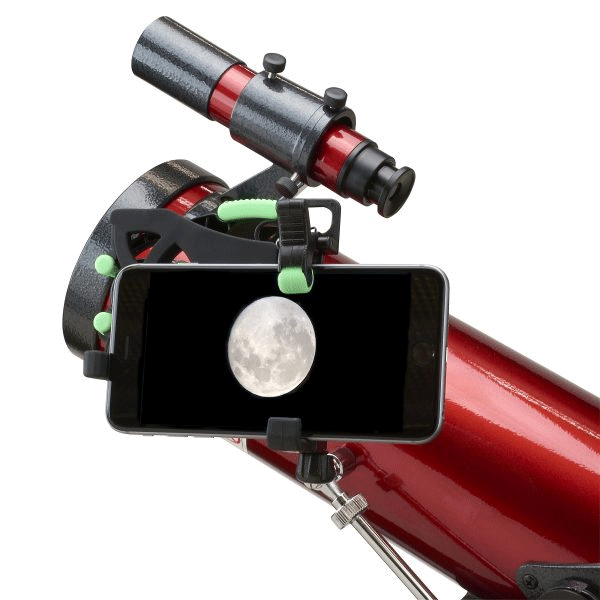 It fits a wide range of optics with an outer eyepiece diameter of 25-58mm. 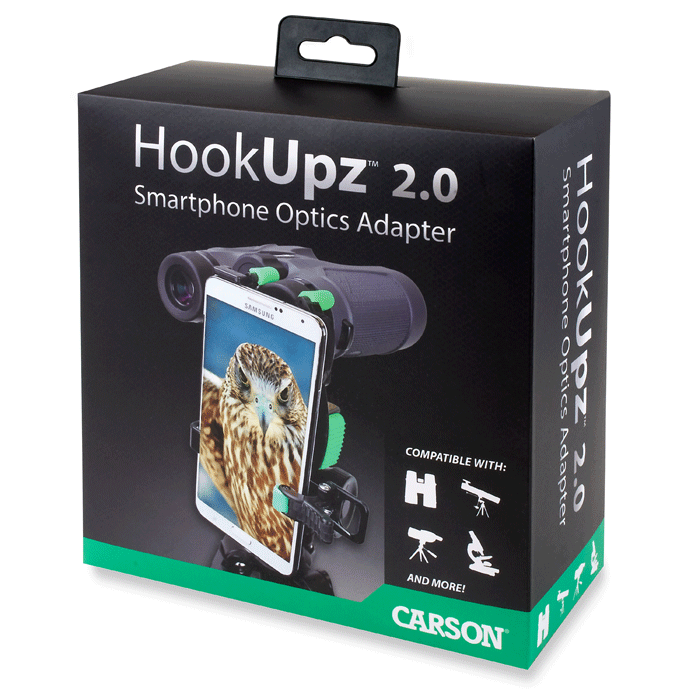 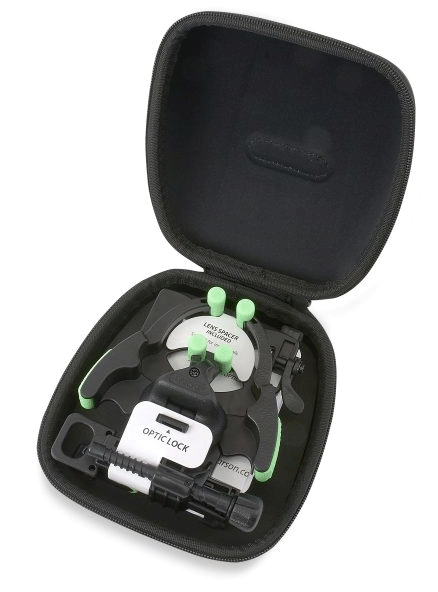 Store the HookUpz 2.0 in the included hard foam carrying case when not in use.